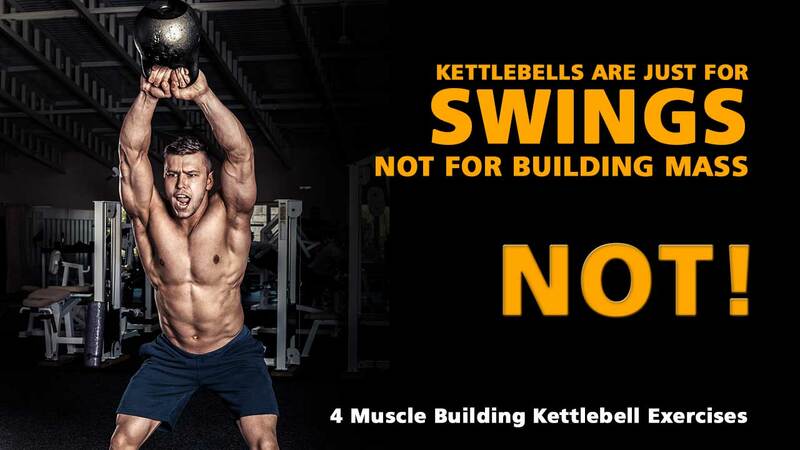 4 Muscle Building Kettlebell Exercises | KBS FOR HYPERTROPHY? 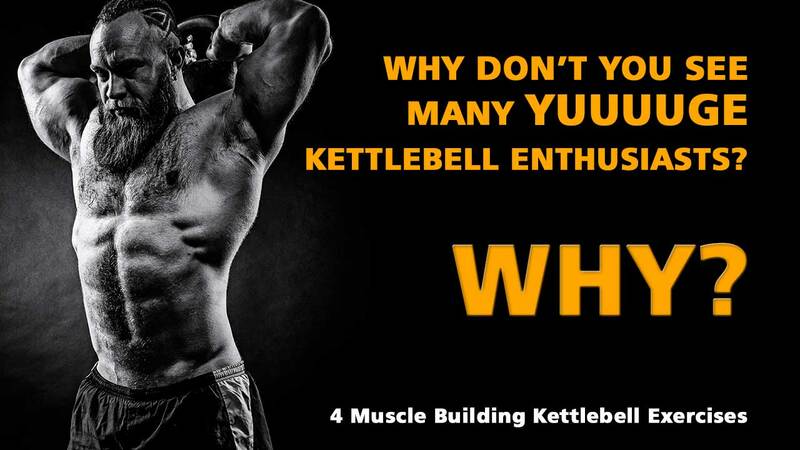 Why Don’t You See Many Huge Kettlebell Enthusiasts? 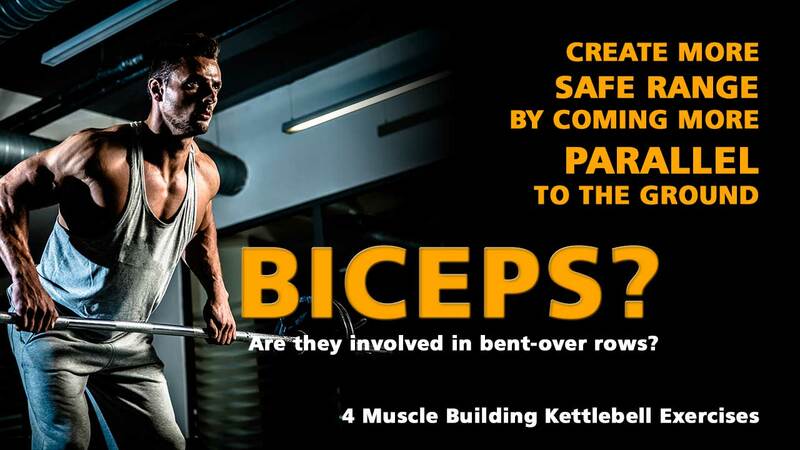 This is one of the questions I get asked a lot when I say that kettlebells are great for strength, great for muscle building and even great for hypertrophy when done right. I have to admit, I don’t see many huge bodybuilders working out with kettlebells, I believe this is solely due the fact that kettlebells come with a higher learning curve, you don’t just pick up a heavy kettlebell like you do a dumbbell, you need to learn to clean it first, then there is the fact that when you say ‘kettlebells’ people immediately think Swings/Cardio. The fact is, just about anything you can do with a barbell, dumbbell or other implement, you can do it with a kettlebell, and in most cases the additional attributes of the kettlebell make it a superior tool—when performed correctly. 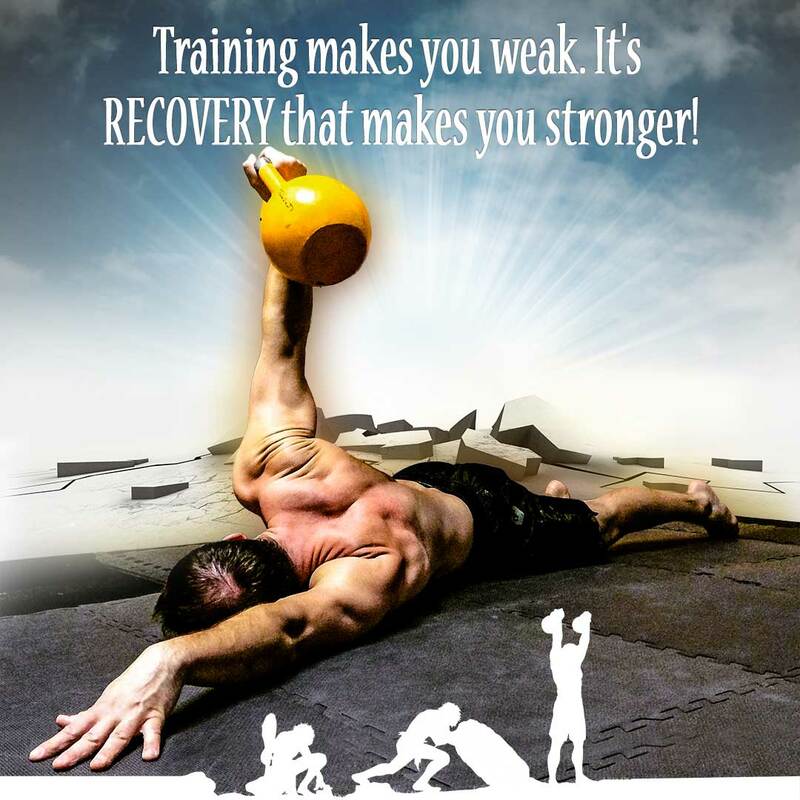 In the end the kettlebell is just a DEAD WEIGHT, how you use it, dictates the results it gives you. This is one of my favourite exercises for the legs, it’s unilateral work, i.e you’re working one leg at a time, it’s always the front leg you’re working. Since we’re doing this to get Yuuuuge we’re going to work in the 8 to 12 rep range per leg, you want to perform this slow and controlled. Is it easier to do this exercise in a hack squat machine? Absolutely! You can get more isolation as you don’t have to focus on balance, way less core work involved as well, but… working more stabilizer muscles and the core is actually an immense benefit that should not be overlooked. So, your choice, easy or hard. Since you’re here to learn how to build muscle with kettlebells, here we go, rack two heavy kettlebells, make sure you know how to clean and rack (free racking PDF) properly first, otherwise this is going to be one hell of a shoulder workout for you. Once you cleaned and racked your kettlebells, decide which leg you’re working first, keep that one flat on the ground in a straight line pointing forward, now shift all your weight to that leg, slowly lift the other leg an inch off the ground, keep the core tight and firm, stay upright throughout the full movement, if you can’t, then you should rest or lower the weight—might be lacking core strength—, everything is controlled with the front leg, you can only lunge back about so much before gravity takes control, you want to make sure you lunge back far enough so that the front knee is at a 90° angle, you might need to have a few goes before you get the hang of how far you need to lunge back and you might need to slide the toes/ball slightly across the ground to get full range, control pelvis alignment (vertical) with the glutes, squeeze them more when coming up, to come up you press the heel firmly into the ground like you want to break through the floor, push your hips forward and come back into standing position, take a second and repeat, or rest if required. Check out my article about forward, reverse lunges and knee pain, link is at the bottom. This is one of my favourite exercises and also one of my goto exercises when training clients that can’t do a push-up yet, such a great progression. So you can bench your bodyweight!? Try and chest press a single kettlebell, it’s such a different beast compared to the barbell chest press, when I get strong first timers in my class that can benchpress their bodyweight, I give them a lighter weight and they laugh—till they have to press it—expecting it’s going to be easy. What I love the most about the one arm chest press is that it’s unilateral, there’s no cheating with one arm, you either press it or you don’t, no assistance from the strong arm and creating muscle imbalances. Now, because we’re focussing on the chest I ask my clients to have a 90° angle between their elbow and ribs, same position as you would be in when doing a barbell chest press. Just like with anything, if you’re not conditioned then this could be a dangerous angle to train from, so make sure you pick the right weight to start with, try not to decrease the angle but the weight, otherwise you’ll be working the triceps more rather than the chest. Another thing I like so much about the kettlebell floor chest press is that it gives you a standard for depth, i.e. no lower than the floor, on a bench you can lower those elbows and get the bar touching the chest, which is such a dangerous practise, it’s where you see all injuries occur, there is no need for it, just go slower to keep the muscles under tension longer, you don’t need range to do this, do stretches if you want to work on range. Seriously, if you have a coach tell you to go deeper, I’d recommend to tell them to F off and tell them that ‘you remaining injury free is priority numero uno!’. Yes, so, as I was saying, the floor provides a great barrier to measure the range you should work in, on the other hand, it has to be said, the floor can also be dangerous, you can’t have an uncontrolled downward rep and keep your forearm vertical, that mistake could crush your arm with a heavy weight. So pay attention, remember, don’t go till failure and/or get a spotter. I bet by now you’re rearing to get into chest pressing that heavy bell, so lay down and get one bell around chest level, then turn onto your side, turning towards the kettlebell and insert one hand (free kettlebell grip PDF), wrap the non pressing hand on top to assist with getting the kettlebell into place, you now roll onto your back bringing the kettlebell along, the end position should be elbow inline with shoulder, forearm vertical at all times or—same thing—kettlebell above the elbow at all times, thumb pointing towards your ear, and knees bent with the feet a bit wider than the hips to provide more stability. Last important thing to do before you start pressing is to create a firm base to press from, pack the chest, lats active and abs firm. Now you’re ready to press, focus on your pecs doing the work, keep your shoulder blades on the ground, think about pulling your elbow above your shoulder, don’t think about pressing, think about pulling with the chest muscle, leave the triceps out as much as possible, MMC—mind muscle connection! You want to end up with the hand right above your shoulder, whether you turn the bell during the press is a personal preference, I like it myself, during the press I rotate the hand 45°—thumb is now pointing towards your shoulder—at the top I also squeeze the lats just a bit more. To lower, simply reverse the controlled movement in the same fashion. The biggest problem I see is people not knowing how to balance the kettlebell on the forearm and getting a good hand insert, this takes a bit of time to get right and can be painful. My free grip PDF will help with this. Once you have the grip and balancing of the kettlebell right you should not experience any pain on the forearm. If you have any questions in regards to this, feel free to post in our discussion group. I love bent-over rows, it’s easy to go heavier with the weight, it feels like such a powerful move, and again a compound exercise. This is an exercise that like the others requires your full attention, good movement, static muscle contraction and much more, the biggest problem I see here is that it’s explained and done wrong even when looking at big name websites, wrong as in, if you want to get the biggest bang for your buck then you don’t want to be saying that this is also a great exercise for the biceps, yes it can work the biceps, but I believe that if you’re working for hypertrophy and strength, you should not be looking at this as an exercise for the biceps, it’s an exercise for the back, and the angle you row from dictates the main muscles worked, in our case we’re going to focus on the rear delts, thus we’re going to keep our elbow tucked in nicely throughout the full movement, and we’re going to think about this as pulling the elbow up towards the hip and the forearm does no work other than holding on to the kettlebell—so let it hang. Those are my main points, now lets dig into the specifics and get you ready to bent-over row. We’re working with one kettlebell to be able to focus and isolate as much as possible, also great to provide more core activation, working unilaterally will do that for you. Stand in neutral position, suitcase deadlift a heavy kettlebell, pack the chest, abs firm, lats engaged to protected the shoulder, now perform a hip hinge and remain in the bottom position as parallel to the ground as possible, keep your glutes squeezed throughout the rowing movement, let the arm hang, connect with your rear delts, once again tighten up you base to row from and think about the elbow coming back towards the hip, no need to go higher, it might feel as if you’re not coming up high enough but elbow to hip is a good enough range, just focus on a slow controlled long movement. The reverse is the same, control it, don’t let it just drop, if you are, then rest or go for a lighter weight. Remember forearm does nothing but stay vertical at al times, the moment it breaks vertical plane you’re bicep curling and bringing your hand towards your shoulder, we don’t want that, the weight is either too heavy for you or you’re not working on your mind muscle connection enough. Note that you can also dead row, meaning you bring it back to the ground upon each rep, but for us lets keep tension on the muscles and let it hang rather than dead. Don’t keep rowing if you lower back is shouting, meaning you’re probably not squeezing your glutes and keeping them contracted to remove most of the work from the lowerback—keeping you in bent-over position. You can get more information on the hip hinge in a very informative quick to read but packed with tips ebook I wrote on the hip hinge here or also on Amazon. I picked four exercises, I could write a whole list, but these four will get you going in the right direction and understanding that kettlebells can be used for hypertrophy, they can be used for bodybuilding—when used appropriately and programmed correctly. But where is the fourth exercise you say? 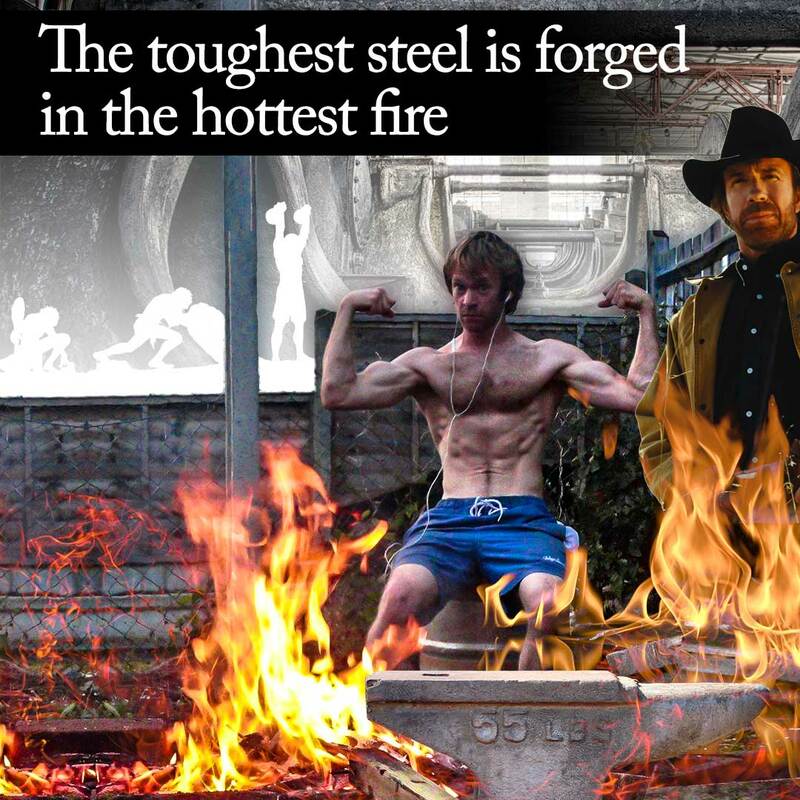 I left this one for last, the kettlebell shoulder press for round and strong delts, but instead of writing about it here I’m going to pimp my book I wrote about kettlebell pressing, it’s well worth the money, you can download it from Cavemantraining in an instant and start reading right away. I’ve created a free video listed below on kettlebell pressing which demonstrates some of the exercises covered in the book. The video is over 45 minutes long, so it’s quite a gem that you’ll want to save and refer back to in the future. Just a quick summary of what this list of four focusses on, not an entire list of all muscles used during these exercises. Last but not least, if you’re going to be performing these four exercises and want some idea on reps and rounds, use the following as a guideline: perform all exercises 8 to 12 reps and 5 to 6 rounds, plenty of rest in between. Please don’t forget to share and like to keep these gems coming free to you on our website, Facebook, Youtube and Instagram channels. FYI: I don’t train for hypertrophy, my training is focussed on movement, flexibility, endurance, cardio, strength and fun. Just thought I’d throw that out there before you start attacking my physique which is all natural and created with kettlebells, trx, bodyweight and crossift. This is me, my goals, my training, on the other side I’m a certified trainer in many areas. are kettlebells good for building muscle? 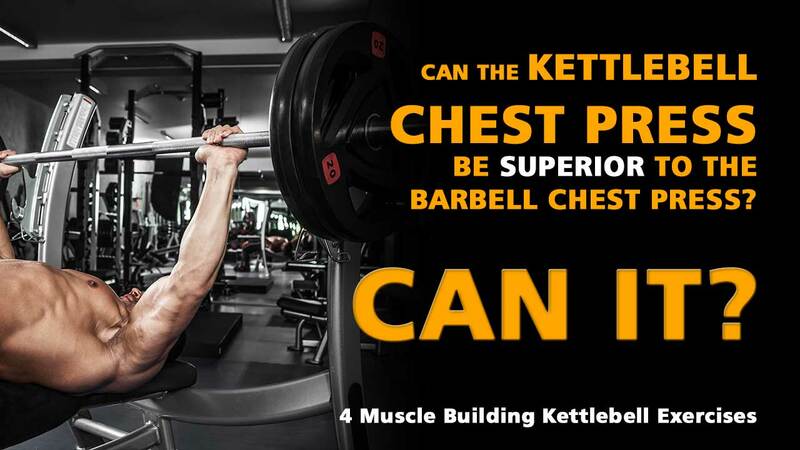 can you get big with kettlebells?